Baby's hair and eyes are very delicate and need special care during bath time. That's why Johnson's No More Tears Baby Shampoo is specially designed to gently cleanse baby's fine hair and delicate scalp while helping prevent irritation, redness and stinging to the eyes. This baby shampoo cleanses gently and rinses easily, leaving your baby's hair soft, shiny, manageable and clean while maintaining a fresh smell. Gently cleanses hair. Mild to eyes. About the Brand: A world famous health care and consumer care products brand, Johnson & Johnson aims at bringing innovative ideas, products and services to advance the health and well-being of people. For more than a hundred years, mothers have trusted Johnson's products to provide the purest, gentlest, and mildest care for their babies with their clinically proven baby care products. Explore the entire range of Bath Time available on Nykaa. 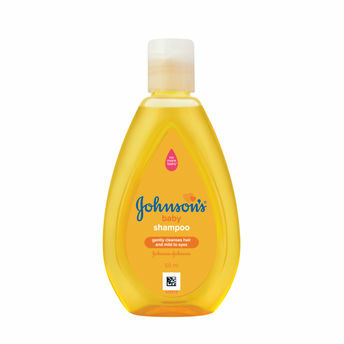 Shop more Johnson's products here.You can browse through the complete world of Johnson's Bath Time .Alternatively, you can also find many more products from the Johnson's New No More Tears Baby Shampoo range.